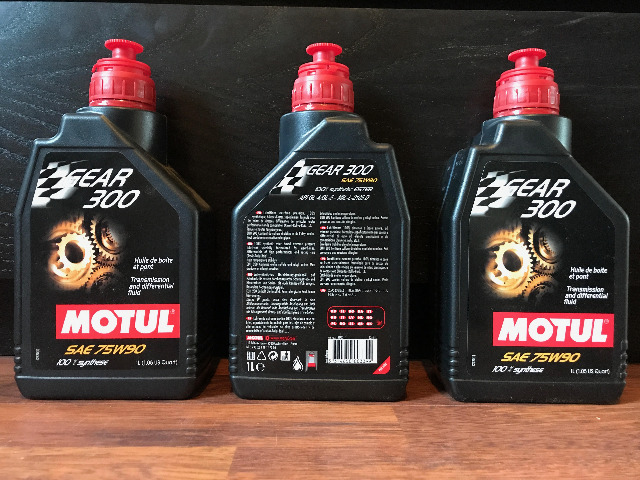 I've got 3x 1L bottles of Motul gear oil which were bought for my previous Jimny but now have no use for. A 3-pack is available from Opie Oils for £42.50, so I'm asking £30. Buyer pays PayPal and shipping. Last edit: 18 Feb 2018 15:25 by Venter. This oil is fine for a VVT Jimny too if that helps anyone. Aye, sorry my mistake, too much sh*t to remember! Busta, thanks for the info, am just a bit cautious about using the wrong grade on a VVT given the gearbox issues. You reckon it'll be fine? Last edit: 18 Feb 2018 19:33 by Venter. I had some gl4/5 in my box for a few months and couldn't get gears when warm. It isn't the correct oil for later vvt boxes. Yeah thanks Lambert, not going to take any chances so still for sale. Last edit: 19 Feb 2018 08:55 by Venter. Venter wrote: Aye, sorry my mistake, too much sh*t to remember! Unless I'm mistaken the gearbox issues are caused by a low oil level due to a leaking seal, not a lack of lubrication relating to viscosity. And a rebuilt R72 gearbox will have shielded bearings which do not rely on the gearbox oil for lubrication. So having a marginally higher viscosity oil will not be the determining factor of your gearbox failing.